It’s referred to Cardemy project in the french press! 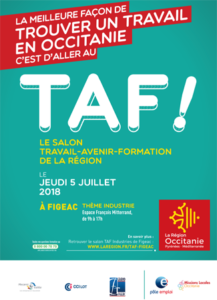 On the occasion of the Employment and Training Fair organized in Figeac July 5th, Mecanic Vallée will present the training modules. This is the opportunity to promote the project to the structures directly concerned by modules use: companies in the industrial sector and training centers.